Watch: BBC Makes A Huge Blunder, Plays Amitabh Bachchan, Rishi Kapoor's Clips In Shashi Kapoor's Tribute! BBC REACTS After Goofing Up For Using Amitabh Bachchan And Rishi Kapoor Clip In Shashi Kapoor Tribute! 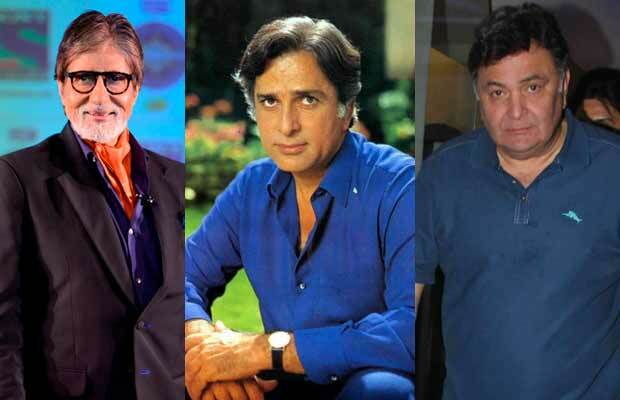 BBC apologizes after goofing up Amitabh Bachchan, Rishi Kapoor for Shashi Kapoor! It was on this Monday that the entire film industry as well as the nation got a shock when the legendary actor Shashi Kapoor passed away. The veteran actor had given some of the iconic films of Bollywood. And that is why every person, every news channel was giving a last tribute to the actor. But the British Broadcasting Corporation, or BBC as it is popularly called, made a huge mistake. They used Amitabh Bachchan and Rishi Kapoor‘s clips while paying tribute to Shashi Kapoor. The late actor was a legend. And was hence a personality known to all. The entire film fraternity had come together to bid him farewell. Read here: Shashi Kapoor’s Body Draped In A Tricolour, Bollywood Celebrities Bid Emotional Farewell! But the news channel made a goof up between the three actors. While a BBC anchor was reporting the sad demise of the actor, clips of Big B and Rishi Kapoor played on the screens! It was very soon that the channel got trolled for such a big blunder. People thrashed the anchor as well as the channel left and right for their goof up. C’mon!!! We don’t all look the same!! ??? Well, BBC has not been the only news portal to have confused the late actor with someone else. Before this, a similar kind of mistake was made. A news channel had tweeted about the demise writing Shashi Tharoor instead of Shashi Kapoor. The politician had even started receiving condolence calls after that! Previous articleNaagin 3: Not Mouni Roy Or Adaa Khan, Guess Who This New Naagin Is! Next articleBigg Boss 11: Hina Khan Calls Hiten Tejwani A Spineless Man, Here’s How He Reacts- Watch Video!